And we got up (or should that be down?) to about minus nineteen humps before the song began to peter-out. 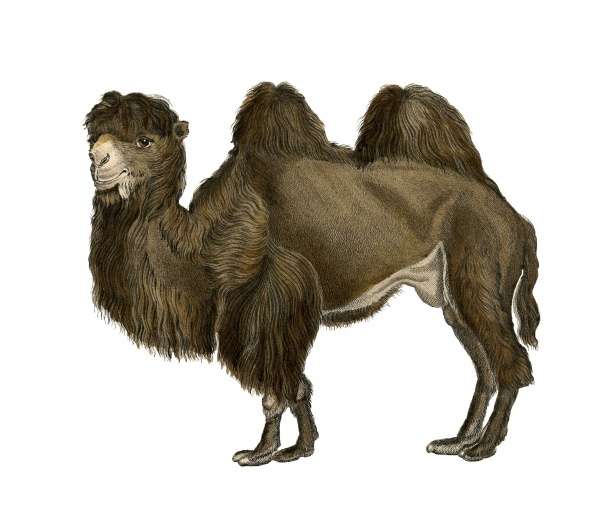 So, what would a camel with minus nineteen humps look like? Well, if each hump is a extra lump on its back, then surely a negative hump is a bit taken away from its back. So Alice the camel has a back with nineteen rather large indentations in it. Is there anything of her left? Clearly we don’t see many negatively-humped camels around, but we can get negative numbers of things in physics. A good example is a “hole” in solid-state physics. Here, a “hole” is a way of describing the absence of an electron where we might otherwise expect one. A hole, in that sense, isn’t a real thing – it’s the lack of a real thing. But we can (and do) talk about holes as if they were real.